We’ll like to thank everyone who participated in the poll and we hope everyone will participate in the next one on December 2018. 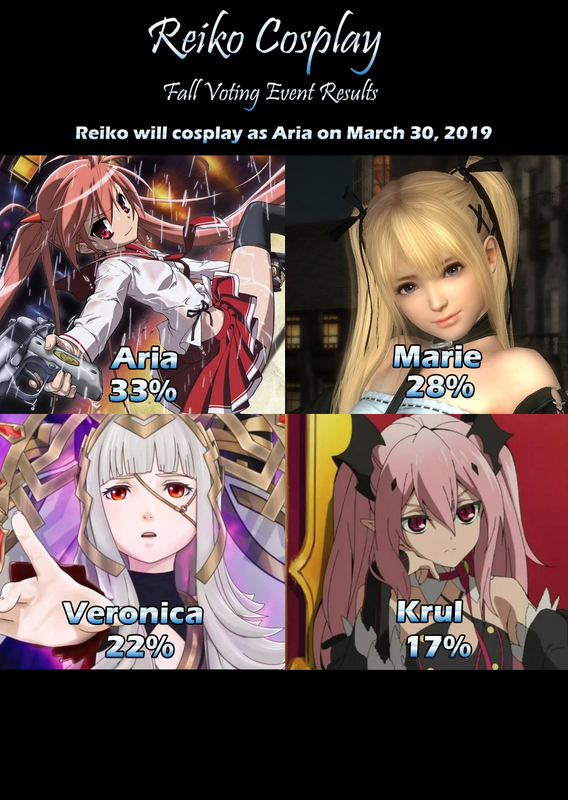 Our next Reiko Cosplay voting event will be our Hatsune Miku theme voting event. Final details will be announce near the launch date.